The base of our success is quality and it is reflected in the consistency with which we offer Unani Herbal Medicines. This is assured through stringent quality checks under the smart administration of our qualified quality personnel. 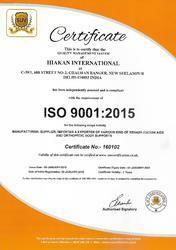 Hiakan International is an ISO 9001:2015 CERTIFIED COMPANY. 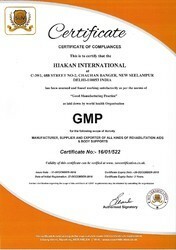 We are GMP certified company, from SUV certification. 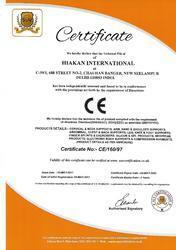 Hiakan International is a CE certified company.